Founded in 2016 as a Kickstarter campaign, Tactica is currently the highest funded multitool in crowdfunding history. The Tactica Original multitool is a compact and ergonomically designed multitool that includes sockets for various bits, a bottle opener, package opener, a wrench, and a ruler all in one, while being keyring friendly and easy to carry around. Made with a composite material that is 40% lighter than titanium, it also won't scratch the surfaces of other belongings such as a phone or tablet. 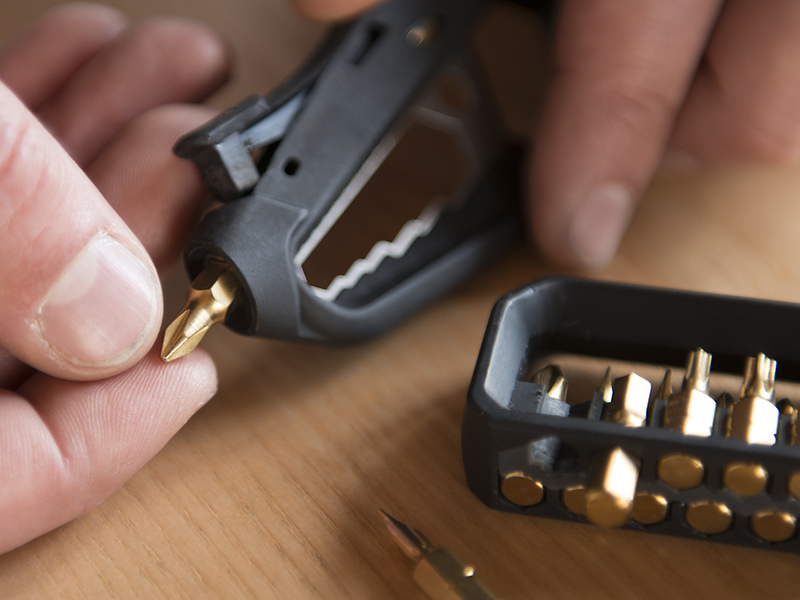 Gone are the days of searching for various tools around the house, when the Tactica Multitool includes an inbuilt storage space for various bits. The Tactica multitool does multiple jobs and is always ready for a quick fix. Tactica is designed in Melbourne, Australia.